Newly Renovated An iconic hotel in the heart of Newport RI, the Hotel Viking completed a renovation of its lobby, One Bellevue Restaurant, One Bellevue Lounge and common areas. Enjoy the company of friends, start treasured traditions, or set out on an amazing experience. Located in downtown Newport, this waterfront hotel is 2 miles from Cliff Walk and Ten Mile Drive and 4 miles from Newport Vineyards. 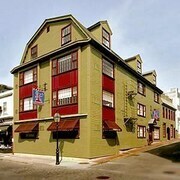 In Newport's historic district, this hotel is a a few minutes' walk from White Horse Tavern and Touro Synagogue. 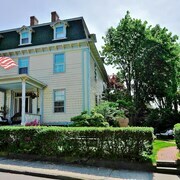 The Elms, the vintage architecture, ocean views of Cliff Walk, and the Tennis Hall of Fame are all a short drive away. 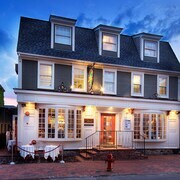 Located in the heart of Newport, this hotel is within 1 mi (2 km) of Thames Street, Newport Mansions, and Easton's Beach. The Breakers is 1.6 mi (2.6 km) away. 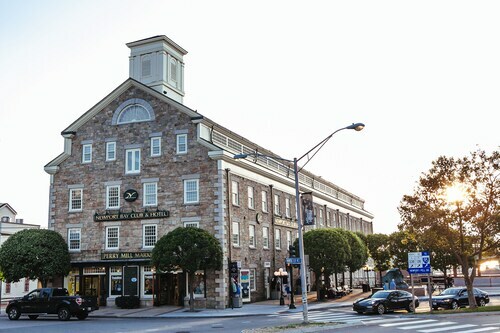 Situated in Newport, this hotel is 0.8 mi (1.2 km) from Naval War College Museum and within 3 mi (5 km) of Touro Synagogue and International Tennis Hall of Fame and Museum. Newport Mansions and The Breakers are also within 3 mi (5 km). 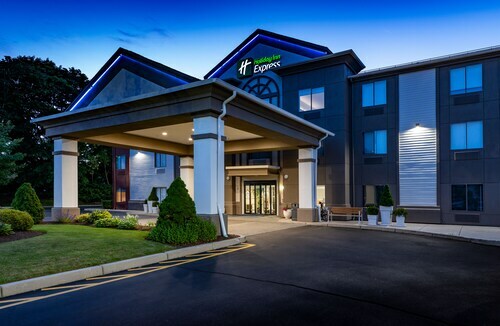 Situated in Middletown, this hotel is within 3 mi (5 km) of Newport Vineyards, Newport National Golf Club, and Newport Playhouse. Easton's Beach and Newport Mansions are also within 6 mi (10 km). 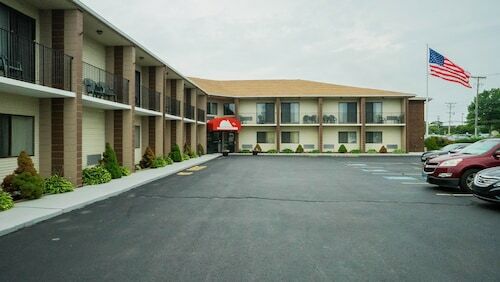 Situated in Middletown, this motel is within 3 mi (5 km) of Newport Vineyards, Newport Playhouse, and Firehouse Theater. Newport National Golf Club and Naval War College Museum are also within 3 mi (5 km). 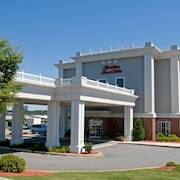 Situated near the airport, this motel is 0.6 mi (0.9 km) from Newport Playhouse and within 3 mi (5 km) of Easton's Beach and Newport Mansions. Naval War College Museum and Battery Park are also within 2 mi (3 km). 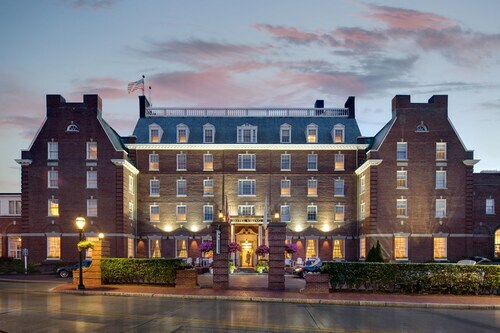 Located in the heart of Newport, this luxury hotel is within 1 mi (2 km) of Thames Street, Newport Mansions, and Easton's Beach. The Breakers is 1.9 mi (3 km) away. 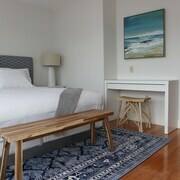 Located in Newport, this beachfront hotel is in the city center and within a 5-minute walk of Cliff Walk and Easton's Beach. Newport Mansions and The Breakers are also within 2 mi (3 km). Located in the heart of Newport, this luxury hotel is within 1 mi (2 km) of Thames Street, Newport Mansions, and Easton's Beach. The Breakers is 1.7 mi (2.7 km) away. How Much is a Hotel Room in Newport? 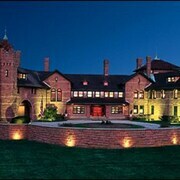 Hotels in Newport start at $114 per night. Prices and availability subject to change. Additional terms may apply. Newport, Rhode Island stands out as the quintessential New England experience. 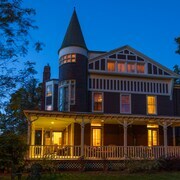 It impresses with sea and bay access on three sides, celebrates history by preserving structures from the Colonial Era to the Gilded Age, and offers art galleries, restaurants, and bars in a vibrant waterfront and active historic downtown. 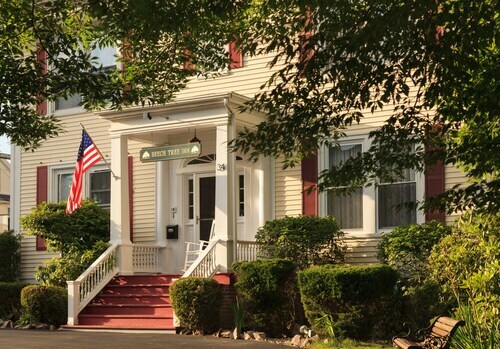 Newport hotels are available right in town for convenience. 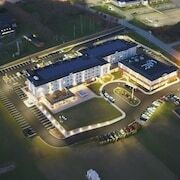 However, if you want to get away, you can also book hotels near Jamestown, RI. Dreaming of a New England getaway to a place that knows how to embrace festivity? 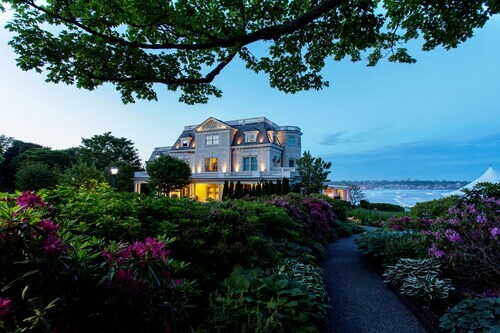 Meet Newport, Rhode Island. Sprawled across a fjord-like peninsula in the south of the nation’s smallest state, this city can school anybody on the art of throwing a classy party. From the soirees thrown at its famously shutter-worthy mansions to some of the country’s best music festivals, this city has a rich and inviting culture that welcomes intrepid travelers such as yourself any time of year. And there are plenty of Travelocity hotels in Newport to prove it. 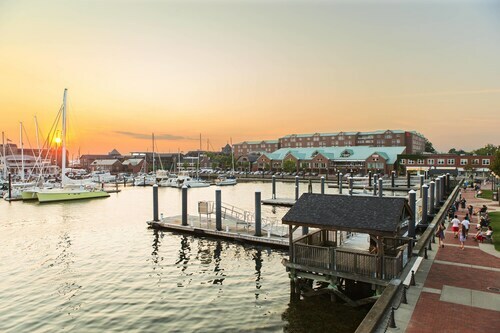 There’s one sure way to achieve instant immersion in the very essence of Newport: wake up at one of our Newport hotels and put on your walking shoes. The Famous Cliff Walk boasts some of the best views in New England—of both wildlife and historical architecture. Watch seabirds ride waves of wind next to the Italianate palazzos and Elizabethan manor houses that call this city home. No matter where you start your Newport getaway, one truth remains: head in nearly any direction and you’ll find water. 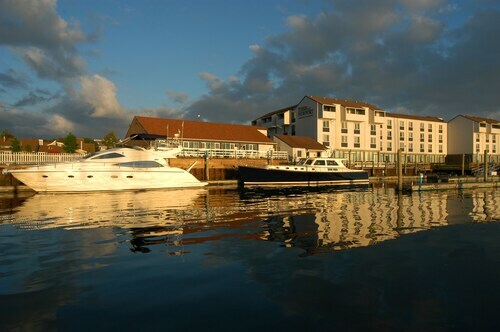 Stay right on the shore at The Newport Harbor Hotel & Marina to have quick access to Fort Adams Point State Park. This iconic Newport destination is packed with history and is the home of the Newport Jazz Festival. Book the Mainstay Hotel & Conference Center and wake up minutes from restaurants, brews, and views of the Newport Bridge. Or cruise down the iconic Ocean Drive with Atlantic winds whipping through your hair. 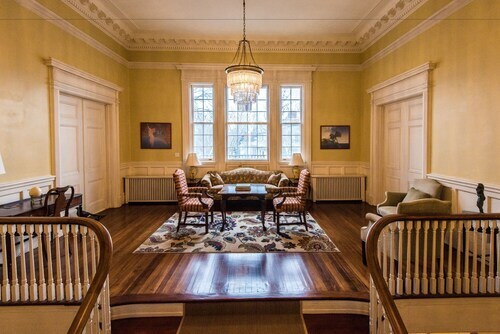 Can’t wait to experience Newport for yourself? We don’t blame you. That’s why we have a cheap Newport hotel that’s just right for you, right here on Travelocity. 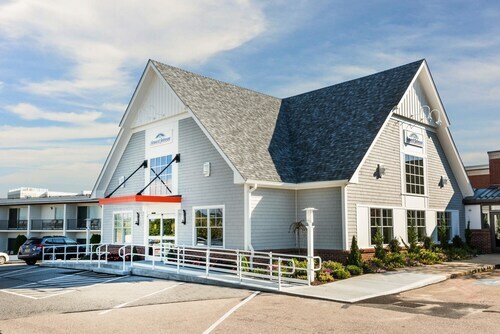 Book today to make your New England dream getaway a reality. Overall excellent! Perfect spot not too far from the downtown which is what we wanted. Staff was all great. Very friendly and helpful. Property and room were very clean. Only negative was check in. Check in was 4:00 but didn’t get into our room until after 6:00. Staff was friendly and comped us some drinks while we waited. Overall we had a great stay. Fantastic property for anyone looking for a bargain. Minutes from Newport, Thames Street, the Polo Grounds. 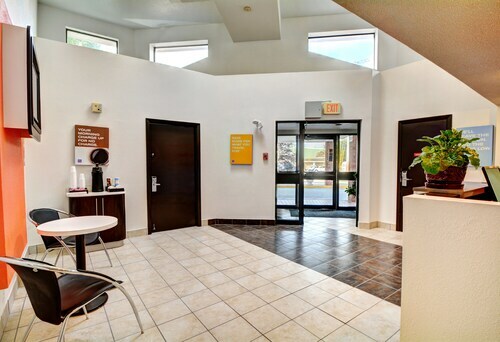 Very clean with updated common area. The staff was great. I appreciate the effort that went in to the decor of my room. It was a good blend of modern with furniture that was appropriate for the age of the building. Love all the colonial buildings in Newport. Great staff. Attractive common areas. Nice room was about the size you'd expect but not any bigger! Amazing location and the room was better than expected!